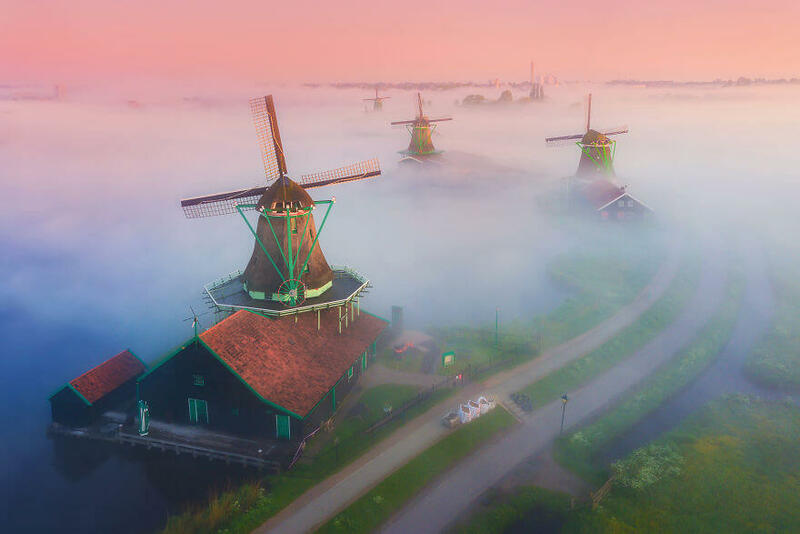 Home Geek Dutch Windmills in the fog. 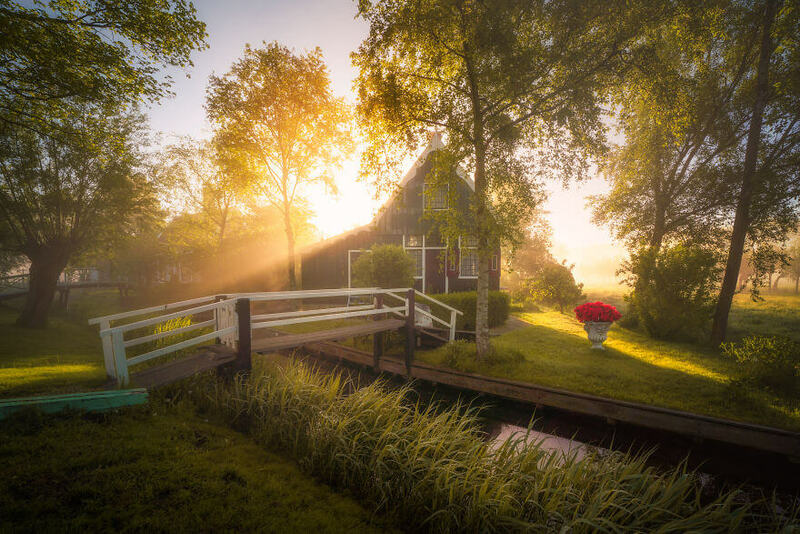 The are magical photos! Just before sunrise the clouds turn purple. 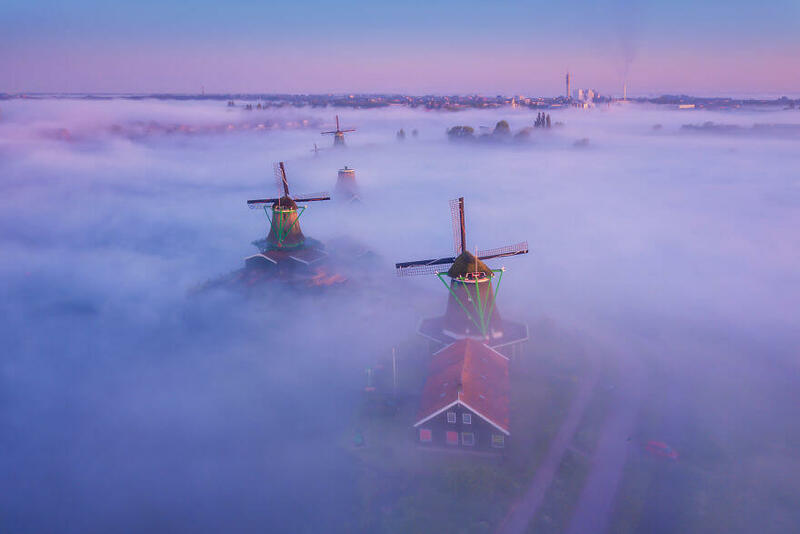 A thick fog blanket makes it look like the windmills are floating. 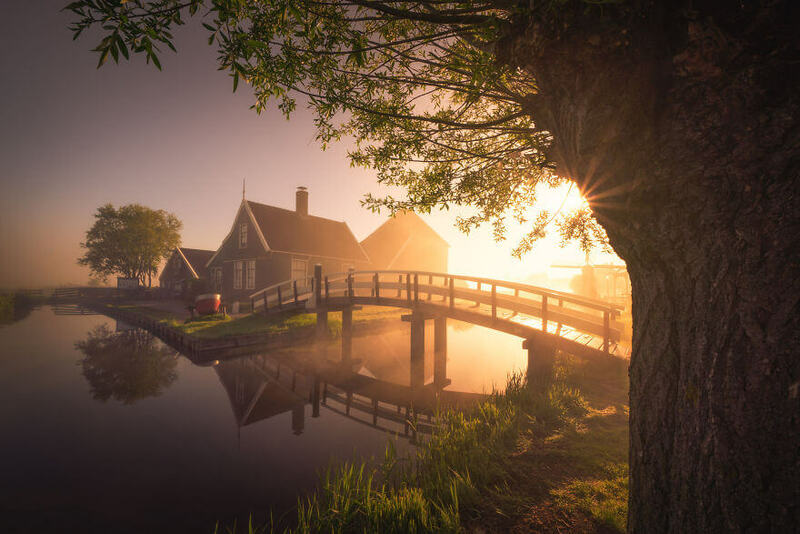 The famous cheese farm rising out of the fog in the early morning with the sun giving that golden glow. 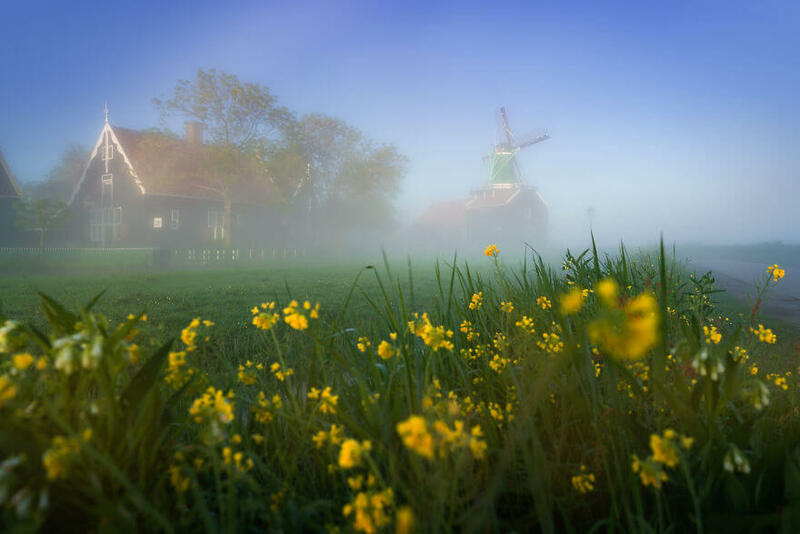 Thick fog covering the ground with the windmills sticking out. An unreal sight! 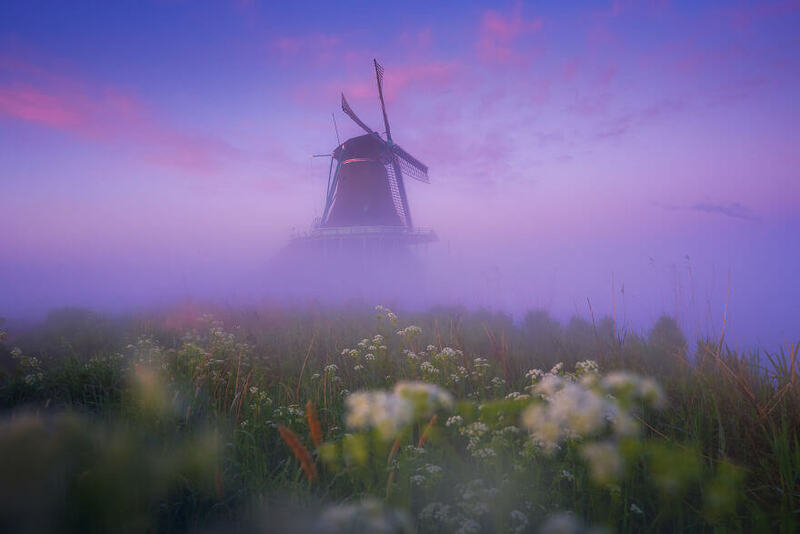 Windmills rising above the fog when the sun was still below the horizon giving a beautiful pink glow. 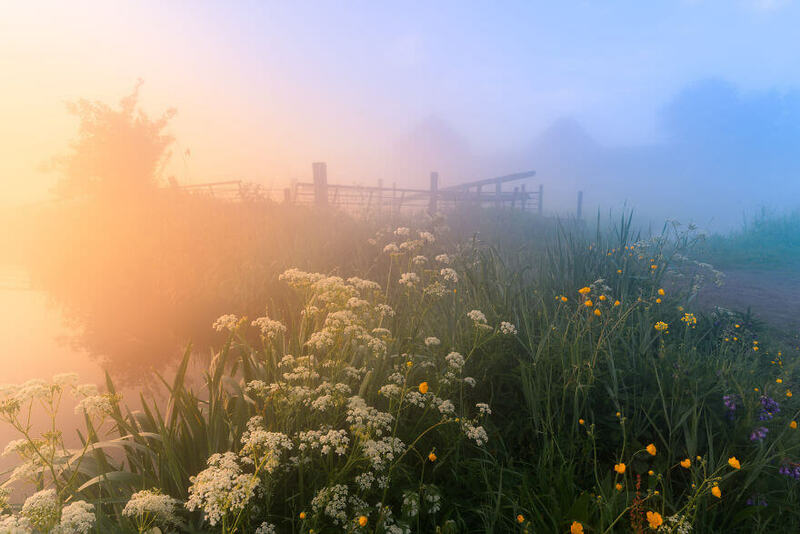 The sun causing beautiful light rays piercing through the fog. Lots of different wildflowers. A cheese farm in the background. Is this real life? There are people living in this popular tourist destination. Their houses look straight from a fairytale. 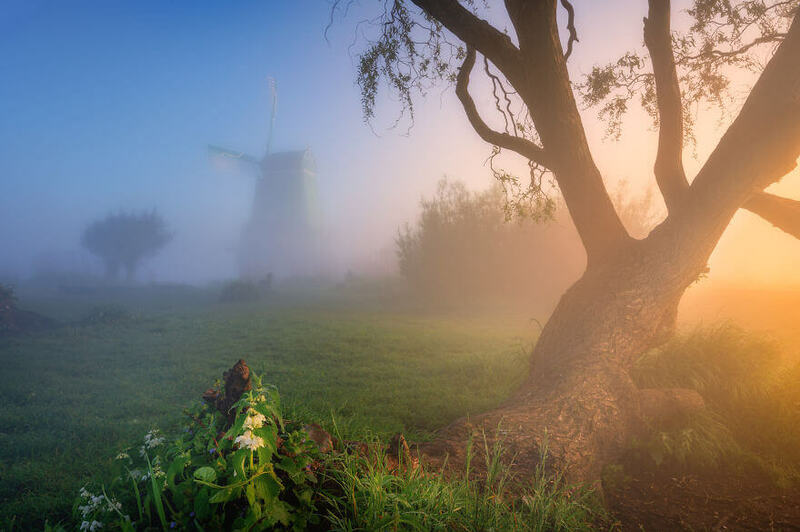 Beautiful old trees combined with the windmills and a foggy atmosphere make for a magical moment. 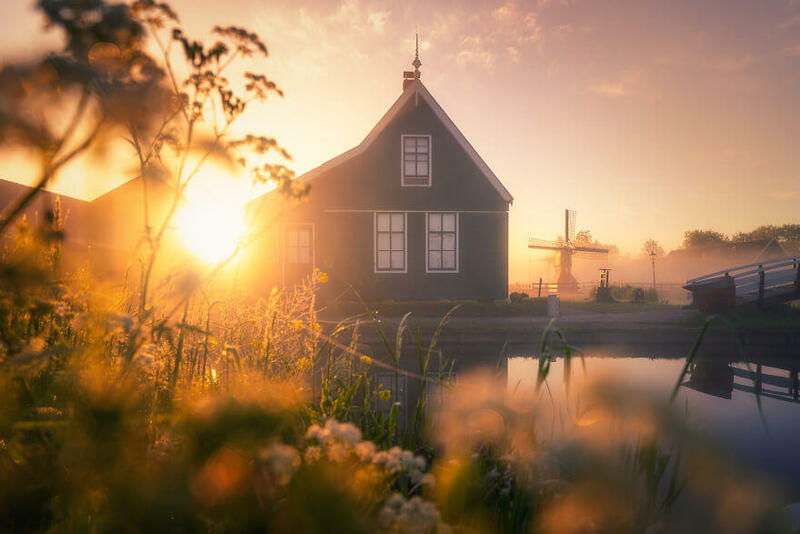 This is the house connecting to the famous cheese farm at the Zaanse Schans. People live here. 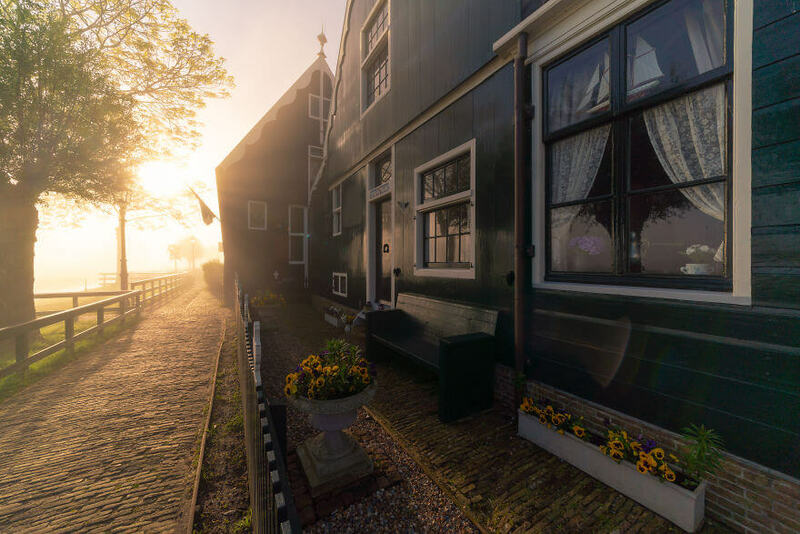 Imagine living in a house that thousands of people photograph every day. Those early mornings are completely empty. This particular little street is packed with tourists during the day. 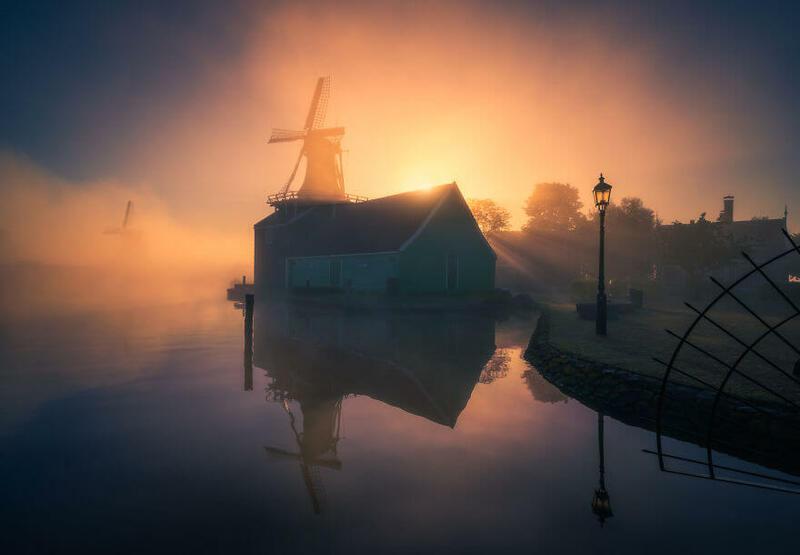 With the sun up the fog slowly flows out of the way revealing the magical scenery of the Zaanse Schans.